^ What are metatarsal injuries? ^ Brazil 1-0 England. BBC Sport. 2009-11-14 [2009-11-16] （英语）. 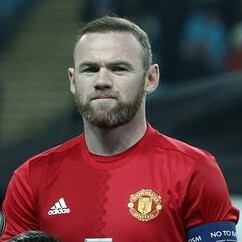 ^ Rooney's captaincy thrill. thefa.com. 2009-11-15 [2009-11-25] （英语）. ^ 鲁尼宣布从国家队退役！53粒进球仍是队史第一射手. 澎湃新聞. 2017年8月23日 [2017年8月24日] （中文（中国大陆）‎）. ^ Wayne and Coleen marry in Italy. BBC News. 2008-06-12 [2009-11-03] （英语）. ^ Coleen Rooney gives birth to boy. BBC News. 2009-11-02 [2009-11-03] （英语）. ^ 恭喜！朗尼「升呢」做老豆. 香港商業電台. 2009-11-03 [2009-11-03] （中文（繁體）‎）.